Can't say the badge does a lot for me... but my Boy Scouts have been eagerly awaiting the release of the new Inventing Merit Badge, and that happened last week. Wow... you know, some merit badges (Fingerprinting!) are ones that (with a little prep work) a kid can earn in an afternoon. This is not one of those merit badges. It might be one of those insanely intense merit badges instead. But somehow I think my two are going to be tackling it anyway. The new merit badge was unveiled at MIT's EurekaFest invention fair, as the badge was developed in a partnership with Lemelson-MIT. The first Inventing Merit Badges (honorary ones) were awarded last week to several distinguished Eagle Scouts who are also inventors associated with MIT. The new merit badge has nine requirements, several of those being multi-part ones. Some aren't so bad, like learning about intellectual property and its protection -- specifically patents. build a model out of clay, cardboard, etc. Clearly, this one is going to require some serious work. And that is fantastic. So I think the Inventing Merit Badge is great. Let's push these boys some. Now that I've seen this, I cannot wait to see Robotics unveiled, which apparently won't be until the first quarter of 2011. So anyone who has read my blog for any length of time knows that Language Arts is the weakest link in our school chain. Math? no problem. Science? if anything, we do too much. History? uh, yeah, everyone here loves history. But language arts? Especially writing? That is scary. But maybe... just maybe... I'm seeing a glimmer of light ahead. A couple of weeks ago, I had a good as new copy of Student Writing Intensive B from IEW drop into my lap. I've wanted to truly use IEW's materials, but somehow it just hasn't clicked. But with Andrew Pudewa doing the teaching via DVD? I had high hopes. My boys adore Mr. Pudewa. I was sure that was the ticket. I started using it with my kids this past week. And it was a nightmare. Level B is meant for grades 6-8, which includes Connor and William. My plan was to find some easier source materials and have Thomas (4th grade) work with this too. Instead the kids argued, complained, whined, and nearly came to blows. Thomas needed more time to think about what he was being asked to do. William was convinced he couldn't possibly write all that was expected. And Connor was irritated because he didn't want to drag this out all day long and he shouldn't be forced to wait for his brothers. We got through a KWO (key word outline) but things started to totally fall apart. Combining was clearly not going to work. I posted a question on the IEW yahoogroup asking what to do, assuming I needed to go ahead and purchase easier materials for my 4th and 6th graders. I was convinced they couldn't possibly all work on the same thing. Jill Pike came back with an answer detailing how to do it all together. It wasn't really all that different from what I was doing or was planning. I have no idea WHY her response made me feel better. But it did. We pulled the disk out and started back at the point where they had finished the KWO. And today was fabulous. Connor wrote a solid paragraph on his own. William and Thomas co-wrote a paragraph, with me acting as scribe. Next week, they will do separate paragraphs. They begged to keep going. I had to MAKE them stop. Reflecting on today, I am so grateful for an encouraging word when I really needed it. I think our hang-up earlier this week was that I was letting my kids convince me that they couldn't work together. Sometimes it just takes words from someone who has gone before me -- and survived -- to change my attitude. That changed attitude makes a tremendous difference in how my kids react, and in how they perform. I'm exhausted. Just want to get that out on the table right now. I am so very grateful that I don't have TOS Crew reviews happening right now, but as a heads-up, I will be doing two reviews of TOS products here soon. One is on Travel Kits, which sounds fantastic with all the car time we're getting lately. The other is a Planner Module -- basically a unit study based on the theme laid out in the TOS Planner. Anyway... life this week and next is insane. I'm used to heading into town a couple days a week at most. This week I have to be in town five days. Next week is either five or six. On most of those days I have more than one in-town commitment. I'm tired. I'm not sure how I'm going to get through another week and a half. I know that living an hour away from town makes a difference... but HOW do people handle having to be somewhere every day? I'll be scarce on here this week and next. I headed into town this morning to pick up my two Boy Scouts from camp. I'll have to post more about that later. From there, we headed up to Denver to attend the Sonlight Expo, being held across the street from the CHEC convention. We were wanting to be there to attend the 11:30 talk on homeschooling high school (do you sense a theme for me lately?) as Connor wanted to hear that. As did I. We were actually early! So we were able to sign up for a drawing for free curriculum (oh, would that be nice), and we got a free backpack, and a coupon for our next order. And then we got to go check out some of the materials. It was so nice to get a look at the Core 7 and Core 100 IGs, and at some of the books. William ended up in a corner reading a Core 1/2 book. Connor and I cruised over to the other room where more of the high school material was located. I had noticed Luke Holzmann standing in the entry area. As we walked through, he spoke to someone. Connor turned his head so fast I was worried about whiplash. "I know that voice!" We went on to look at the Economics course, the Psychology course, the Career & College course, and some of the Cores 200-530 books. And then it was time for the high school session. We sat in the back... and William noticed a familiar face operating the camera. The kids and I enjoyed the session. We're all feeling a lot better about how this will work for high school. But the best part of the day was yet to come. After the session, I told William he could walk over and shake Luke's hand. So he went over to introduce himself. William and Connor told Luke that they had seen him in Mathtacular. "No, that's my brother," was Luke's response. Uh, no. My kids were definitely talking about you. The behind the scenes parts of all of the Sonlight DVDs are most definitely their favorite part. They all love Justin too. But they are fascinated with how the movies are MADE. Luke was amazing. He talked to them for at least 10 minutes, explaining some of the technical stuff that goes over my head, talking with them about their stop-motion projects, and generally being a real person. We checked out a couple more things and headed over to lunch (using the Wendy's coupons given to us at Sonlight!) and my boys couldn't stop talking about how amazing it was to meet Luke. I couldn't stop thinking how nice it is for them to meet someone they admire... and have it be someone worth meeting. Recently, I have posted that we've been struggling a bit with making some decisions about homeschooling our oldest couple guys. Well, decisions have been made. Between that process, and the fact that I've been asked a few times lately why we are homeschooling, well, I needed to get it written out. Again. Why not? I think it has worked pretty well so far. Don't mess with a good thing. I'm not finding another alternative that I like. We've looked at public school, virtual charter schools, and some other non-traditional options (there are no nearby private schools). While many have some awesome "pro" factors going for them, the "cons" are just too big. I keep reading and hearing about the importance of sleep. And especially about the importance of sleep for teens. Having to catch an early bus, or having to conform to an online schedule... it would mess way too much with either the kids' ability to spend time with Dad, or with their sleep. Those are just sacrifices I can't make. There are so many great resources out there for planning high school, for teaching some of those classes that seem more intimidating than others, or just for fellowship with other parents at the same stage I'm in. It isn't quite so overwhelming when I realize I'm not alone. Okay, so I'm selfish. I like my kids. I want to spend time with them. I love the flexibility we have -- the ability to go on Boy Scout trips that start on Thursday, the ability to volunteer at the food bank on Wednesday afternoons, the ability to drop (most) school when the grandparents visit, the ability to take a week or two off in September and enjoy the local sights after the tourists have left. Okay, so I'm selfish. I look at the literature lists for some of the high school programs and I either a) want to read them myself and wonder why I was never exposed to material like this, or b) want to re-read them and discuss them with my kids. In all my honors English classes, why was I nearly (gasp) 40 before I first read anything by Austen? Or 35 before I read any Tolkien? My kids are such asynchronous learners, I'm afraid in a more traditional setting, their high school experience would be too much like mine. Bored and completely tuned out in half the classes. Clueless, but able to fake it by being a good test-taker, in the other half. I want more for them. You know, like them actually learning something. I want them to have more options. Forensic science? Archaeology? Entomology? Differential Equations? A literature class based on mythology? A full year on Rome, encompassing history, art and literature? A semester on Troy, contrasting 'legend' to archaeological evidences? Game design? Attic Greek? I'm quite sure they can't get those in our district. If I have to heavily supplement, I'd rather just take on the whole responsibility. (And all of the above have been brought up in the last month by one of my three older boys as something they want to study in high school.) They won't necessarily GET everything they wish for. But they will have a chance to help prioritize, or to find resources to study it on their own. And, last (at least for this post) but definitely not least -- because people keep trying to tell me I can't do it. My response is a lot like Locke in Lost -- "Don't tell me what I can't do!" Some of you may remember me mentioning the Schoolhouse Expo that happened in May. Well... if you couldn't make that one, you have another chance. The Old Schoolhouse is putting on another Schoolhouse Expo that will take place October 4-8, and if you act today or tomorrow, you can save $10 for either the live Expo, or the Expo to Go. I highly recommend this. Five days of homeschool speakers, loads of prizes (if you aren't on the Crew! ), and very inspiring. Check it out here. Right away. The one in May sold out, so don't wait too long. So here is the list of the lucky ten for this first week. I've visited them all and laughed, smiled, and have been inspired. A couple of these ladies I knew already. Most are new to me. 1. Alane @ Reaping a Harvest : I've been following her nearly forever (at least ever since I had a blog and was following anyone!) I'm partial to moms with a houseful of boys. 2. Lexi @ Pink & Orange Coffee: I love the title, and I'm still trying to figure out why she chose it. 3. Alina @ Live, Laugh, Learn! : oh, I am so impressed by moms who can live a homeschooling lifestyle even when they have to send a child to school. I think I'd tend to just work with what they are doing in school and not take on my own thing. 4. Mrs. Mandy @ Mrs. Mandy's Musings: Some adorable baby photos, and a terrific rant about criticism of homeschoolers. 5. Wonder Mom @ The Fantastic Five: She does some amazing theme stuff with letters. Oh, I wish I was that creative! 6. Amber @ Refined Metals Academy: A homeschooler who is now homeschooling. Now I find that very inspiring. 7. Amy @ Just A Moment in Time: the monkeys on her page are just TOO cute! 8. Angela @ Providence Farm: their farm looks so lovely! 9. Angela @ My Journey: this is someone I've been Facebook friends with for awhile. 10. pebblekeeper @ Petra School: she's growing mosquito larvae. On purpose. I had to comment on that one. I've done some crazy stuff in the name of homeschooling, but I will never grow mosquitoes. I'll be posting a similar list each week for quite some time. That became the basis for the book Sixteen Brides. Set in 1871, mostly in Nebraska, this book is the story of six fictional war widows, out of a group of sixteen, that headed west for a better life. The author thanks the women of the Dawson County Historical Society for their assistance in researching the real stories of some of the hundreds of single women who successfully homesteaded in the West, which helps me to know these stories are based in the realities of the time. I love historical fiction, especially historical fiction that makes me feel like I am there. Maybe it is partially due to where I have lived (North Dakota, Minnesota, Colorado), but in reading scenes like one with a spring snowstorm, I could almost feel the wind and the chill. 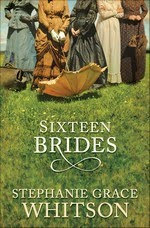 The basic storyline is that sixteen women set out for Nebraska and the promise of free land - homesteads - close to town. They are unaware that ads like the one above were being placed, and that the man behind the Ladies' Emigration Society was making his real money by selling spots on the ladies' dance cards. Six of the women object, and stay on in Plum Grove, Nebraska. This book tells their stories. A southern belle. A general's widow and her tween son. A mother and daughter who are very different. A rough talking divorcee. And a shy young woman who learned some doctorin' from her physician husband. These people band together, and their stories -- and the stories of some of the men and women they meet in Plum Grove -- are woven together to form this book. I couldn't put it down. I will look for other titles by Whitson, particularly titles set on the Plains. How come I can't sit down and just write up a post? Ack!! Thomas -- the one who plans to be a classical archaeologist -- gets to go to a science camp this summer, courtesy of a blog giveaway we won. Mystery of the Pharaoh's Treasure. Perfect for him. I am so excited. Seeing all the new people on the TOS Homeschool Crew is fun. Their excitement is contagious. I've been happy to be without Crew items to review, but their enthusiasm is rubbing off on me. I am looking forward to getting new stuff again. My big two are at Boy Scout Camp this week. I'm hoping they found their swim suit bag. It was packed, it went into the car, it was taken out of the car. I have to assume it was packed into a vehicle going to camp, as I did not see it in the parking lot. But they didn't find it (as of Sunday). I've been told they are swimming in their shorts and air-drying. I asked if I needed to buy new swim suits and drive the up there, but have been assured they are okay. I hope that is true. I really hope the bag turned up somewhere. The Old Schoolhouse is doing a bunch of specials this summer if you go follow the beach ball. One right now gets you a discount on WeE-books. That got me to inventory my collection, and try to decide if I "need" to purchase some. So I've been busy reading all kinds of great stuff. Haven't decided on the purchase though. There are two titles on Classical Education I want, and a Beowulf title by Ruth Beechick, and one that just looks encouraging. What is Download N Go? It's a combination of a unit study and a lapbook, geared for Kindergarteners through Fourth Graders. Amanda Bennett has teamed up with The Old Schoolhouse to produce these studies. There are daily lesson plans, lots and lots of links, and a variety of subjects available, with more coming out all the time. Best of all -- at $7.95 each, they are affordable. And the price gets lower if you purchase bundles. Through June 12, coupon code DNG20PKS gets you an additional 20% off on bundle purchases. My family received Whale Tales and Davy Crockett. 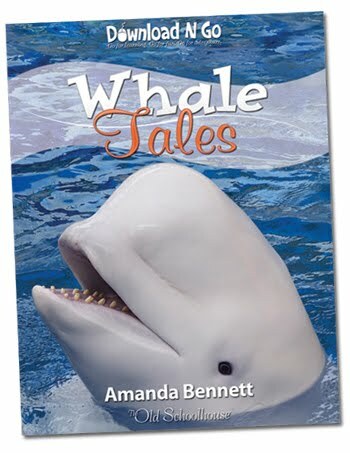 We decided to start with Whale Tales. I planned to do this with my three youngest... Thomas is heading into 4th grade, Richard into 1st grade, and Katrina is 4. An amazing resource list that can be used to enrich the study. Enrich is a key word. The study is fantastic without adding the extra books. But, well, we're a book loving family, so I immediately held every title the library had. Well laid-out daily lessons. The flow is fantastic -- watch a video, read some text, fill in a lapbook, watch another video, discuss something. And each of the five days is fairly even in how much work is expected. Hyperlinks. Love having hyperlinks. Don't make me type, don't make me search. Love that. A nice balance of subjects. Whale Tales obviously has a lot of science. Davy Crockett obviously has a lot of history. But you hit on geography, math, language arts, Bible, art, and more. You really don't have to purchase anything else. Assuming you have a printer and some means of writing and coloring, that is. Adaptable to a variety of ages. My older kids didn't want to do this study. They told me they were too old for it. But let me tell you, they were right there to hear the whale songs and see the whales breaching. Lapbooking. There are a couple of lapbooking activities on each day of the study. It is far more applicable to the younger ages than any of the other unit studies I have done. Each study is meant to be done in just one week. How it worked in my home. Well, let me first confess a couple of things. #1 -- I want to love unit studies. I keep trying to love unit studies. But in reality, by the time we get a couple weeks into virtually any unit study, my kids are ready to move on. #2 -- I want to love lapbooks. I keep trying to love lapbooks. But in reality, all that cutting and pasting and just dealing with my pencil-phobic kids, well, it makes me crazy. With that in mind -- we loved doing Whale Tales. We quickly dumped most of the lapbook activities, still doing about one per day. But the video links were fabulous, and the text in the study (or linked to in the study) gave us plenty to discuss. And then there were the books from the resource list. A great variety, although we were only able to find 1-2 books for each day of the study. My kids loved it. I loved it. Open and go. It was so very easy. Seriously, the only prep I did was to get on the library website and search for all the books on the resource list a couple weeks before we started. In actually doing the study (over two weeks, I admit) all I did was open the pdf file and start at the beginning of the day's plans and keep working through it, deciding as we went if we wanted to color a certain page or fill out a particular lapbook. We ended by reading all the books we had found that were suggested for that day. Disclosure: LitFuse and The Old Schoolhouse provided me with a complimentary copy of these studies for review purposes. No other compensation was received, and all opinions are my own. 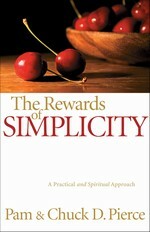 Over the past couple of months, I have been reading The Rewards of Simplicity by Pam and Chuck Pierce. It has been hard to read. I keep trying to decide if it is because I feel like I'm slogging through it, or if it is because I find it convicting. I'm not sure what exactly I was expecting from this book, but this was not quite it. I think I was expecting something that would inspire me to declutter and pare down -- to find contentment without all the stuff our materialistic culture says we need. And yes, some of that is in here. But mostly, this is a book about spiritual simplification... how clearing up our emotional distractions and getting to a place where we are right with God will lead to real simplicity. I'm not really sure what I thought. There were certainly portions that challenged me to seriously consider things like a technology fast. Mostly, though, I wondered how in the world I was going to come up with something coherent to say in a review. The book is really two separate books. The first one is written by Pam Pierce, and reads more like a biography than a how-to book. The second book is written by Chuck Pierce and doesn't exactly seem connected to the rest. He writes about anxiety and its impact on our lives. This is not a book I am likely to keep on my shelves. The information was mostly good, but I found it hard to read. I'll be happy to pass it on to someone else. Homeschool Buyers Co-op is wonderful. If you haven't joined, you need to. Especially right now -- at least if you have kids in pre-algebra, algebra 1, geometry, or algebra 2. There is a special offer going on where you can get a free subscription (up to five per family, actually) to YourTeacher.com that is good through August 31. This is a program I've looked at a couple of times, but never had the funds to buy it. Well, now we get nearly three months to try it. I signed up for three subscriptions. Because I could really use a refresher course in geometry (and I probably need some help in algebra 2, to be honest). William is going to start pre-algebra this summer anyway, so we'll at least start by going this route. And Connor, well, I think Connor will work through the Geometry. If you have never signed up for the Homeschool Buyer's Co-op before, it is FREE to join. If you use the links here, I do get referral credit... smart points that I can accumulate and use to purchase some of the items they have. Well, if you click the Your Teacher link and join from there, you can do it without giving me credit. I have purchased a number of things through the Co-op though. Explode the Code online, God's World News, Reading Assistant, Legos... it's been great. Highly, highly recommend joining. Really. I spent an afternoon this week reading Hearts Awakening by Delia Parr. This is the type of book I try to only pick up when I know that I can get away with just reading for a few hours, because I tend to read it in one sitting. With no means to support herself, Ellie Kilmer agrees to work as a housekeeper for the young widower who lives on Dillon Island, hopeful she can obtain a proper reference. But Jackson Smith quickly realizes that Ellie's presence may solve his own problems--both the rearing of his young boys and the scandal that surrounds his first marriage. When a marriage of convenience is offered, Ellie is initially humiliated. Though she is past the age most women marry, she has more pride than to agree to his outlandish suggestion. Yet what options does she have? To marry would mean a home and stability. So despite the rumors circling Jackson and his first wife, Ellie accepts this unlikely proposal. 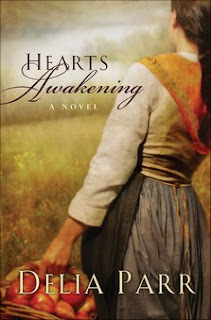 The story is set in 1840 in Pennsylvania, and while much of the plot is fairly predictable, I enjoyed watching Ellie and her determination to follow God's plan for her life... to forgive, to follow through on her promises, and to make the best of whatever situation she finds herself in. I have seen this book listed as being historical fiction, and I'm not sure I agree with that. 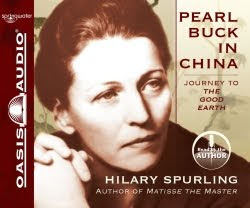 This story is placed in a long-ago time, but aside from some details about apple orchards and the difficulty in adjusting to a stove instead of a hearth, there really wasn't much that placed it in any specific historical time period. The story could just as easily have been set in the 1790s in New England, or on the Plains in the 1880s. I did enjoy it, however, and when I am looking for a light read, I will certainly keep an eye out for further titles by Delia Parr. I'm going to be a First Mate for the upper level TOS Homeschool Crew for 2010-11. When I was asked if I would like to return, and which crew I'd like to be on, we prayed about it as a family. Since I have kids who are in the Preschool/Elementary age range (the younger crew) and I have one child solidly in the Junior/Senior High range (the older crew) and I have one child who is solidly straddling that line (6th grader, reading at a lower level, doing solid middle school math, science and history work) -- it was not an easy decision. But... honestly, I have plenty of stuff around for my little kids, and there are plenty of wonderful people out there who can do a better job of reviewing that level of product than I do... and since we do not have a whole lot of stuff at the high school level and there simply are not as many people out there homeschooling high school (I'm only sort of doing it myself... Connor will be an 8th grader, but is already taking high school classes)... well, the older crew it is. I am looking forward to my short break here, as the first products are not supposed to be shipping until July, except maybe a practice review this month. In reviewing my Crew year, I talked about the stuff, and talked about the people. Then there is the JOB aspects of being on the crew. Because that is how I looked at it when I applied. It is a job. I'm getting paid in product, some of which may not be a good fit for my family, some of which I will love. But either way, I'm being "hired" to share information, including my opinions, about these items. I have deadlines, I have responsibilities, and like any job, there will be aspects I don't love. There were times where I was totally overwhelmed. Like when I was trying to write up my review of Illuminations (which was overwhelming all by itself) at the same time that the heaviest of the math overload was going on. And considering I had 67 different vendors (if I just counted right), some sending multiple products, the reality was that I had to be writing roughly 2 reviews a week for the majority of the year. Especially if you add in the blog posts I wrote for the TOS Crew website too. I'm not complaining, mind you. For the most part, I loved the products and we benefitted from all of them. But it definitely kept me busy. One aspect of this job that I don't think some people quite understand is that this wasn't about me & my family. The huge number of products that were at least very good for us (if not great or perfect) was a huge blessing. But being on the Crew isn't a Santa Claus thing. You don't get to fill out a wish list and have some genie magically grant you only products that are perfect for you. It is about providing a service to other homeschool families... and the reviews from people who didn't like a product are at least as valuable to other homeschoolers as the reviews from people who loved that product. The job is also about providing a service to the vendors. And I think, again, that vendors only benefit when people from a variety of backgrounds are reviewing their product. I'm sure they would rather get only positive, raving types of reviews. But I've been convinced to purchase more than one product based on a well-written review from someone who did not like the item being reviewed. And I know I've heard via email from people who have read one of my non-glowing reviews and it totally convinced them to go spend money on the item. 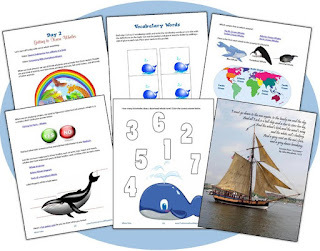 Other aspects of the job included a lot more exposure to some of the homeschool products out there, and a much higher awareness of how a given item can be tweaked to be used in totally different ways. Even with the vendors I didn't review (off the top of my head that would be Rocket Phonics, We R Fun, Pandia Press, and Barchowsky Handwriting) just by seeing the conversations on the forum, and by now following a whole bunch of blogs, I learned a lot about them. The really great aspect of the job has been what it has done for my family. My kids have watched me deal with deadlines, and they have watched me deal with things that aren't exactly my preferred way of working. They have watched me learn. And they have had deadlines as well. They have learned to be more flexible, they have learned quite a bit about sticking with something that has to be done. And they have enjoyed hearing what other families thought about some of the things we have done too. It's been a great year. And next year... well, that's the next post. Part I of my review of the TOS Homeschool Crew was mostly about the stuff. I expected that part to be great. But now I'm going to talk about the people. Oh, wow... I don't know where to start. I guess this could go chronologically too though. Okay, so one of the first people I actually got to know was my First Mate and her mini-crew. What happened starting in the second year is that the people asked to return for another voyage were also asked to 'mentor' a mini-crew. That would be 4-5 new crew members. My FM was Lori, and she is just amazing. The First Mates weren't exactly given a job description, and they each took slightly different approaches. Basically, though, they were to be someone us newbies could come to with questions, so the leaders weren't being inundated with a hundred of us asking the same questions over and over. Lori got our little crew talking, so I now recognized a few people on the forum, and she mostly was just an encouragement. I still grin when she posts a comment on my blog, but she's no longer just my "First Mate" as she is now a good friend. Then there were my crewmates. I didn't expect to really post on the forum. I have a bazillion other places where I already know people and where I already get loads of support. But... well, the enormous blessing of meeting my fellow crewmates was not at all something I expected. Why did this matter so much? I don't know. One thing I know I loved is that there were women (and one man) there homeschooling kids older than mine... something I'm not finding quite as often in other online venues. There were people homeschooling using a wide variety of materials and approaches, but rarely was anyone pushing that any particular thing was inherently superior to everything else. Maybe that has to do with the fact that our job is to review products and talk about how they worked for us, or didn't work for us, and who would benefit from a product. So maybe we were just more aware, as a whole, that my perfect program may be a total flop for you. But it was amazing to post a question about, say, high school math, and get people on there giving reasonably objective evaluations of what they had tried and what they liked. That doesn't capture it though. And not everyone on the crew participated on the forums, either. But the people who were there just seemed to be so open and honest about struggles, frustrations, praises, triumphs... It has been one of the most REAL groups of people I've been around. And when I'm griping about some dumb little problem in my life, there is someone else on asking for prayer for her best friend who is dying of cancer, or for an abused child, or for a backed-up sewer system... you know, people who are dealing with real, serious issues. But that doesn't take away from everyone's ability to respond to the mom who was up all night with a sick child who now is hoping to get through the day without being too much of a zombie, or anyone else with "minor" prayer requests. Anyway, the point is -- I think the biggest blessing of my time on the Review Crew this past year is that I have this group of homeschoolers where I am totally comfortable being me. And my biggest prayer for this next year is that the same type of community will develop. And last but not least, there are our fearless leaders. Heidi has turned into a friend, and I actually got to meet Brenda last week. Their friendship has been amazing as well. I can't possibly do them justice on my blog, so I'm not going to try. My review of the Review Crew -- okay, so this isn't exactly a product review, it's more of a year-in-review thing for me for how life has gone in the past year. Just over a year ago, I received an email informing me that I had made the TOS Homeschool Crew. I was excited, I was nervous, and more than anything, I was totally unsure as to what this really meant. Almost a year ago, I was hooked up with the Crew Forum -- a place where members of the Crew find out what is up, and where we can chat and ask questions -- and ask for or read prayer/praise requests. I was also hooked up with some Lori person as my First Mate -- whatever that meant -- as the leader of my mini-crew. And around 11 months ago, I started receiving various homeschooling products to review. That's the part of being on the Crew that I expected... I'd get stuff. And with any luck, that stuff would stretch my almost non-existent homeschool budget so that we'd be able to have a productive school year. Well, that is the timeline... but what was it really like, this being on the Crew? Well, first, obviously, there is the stuff. Since I have kids in preschool, and I have a child doing high school level work, and pretty much everything in between, well... I received something from practically every vendor. It added up to a LOT of products. You can see that if you look for TOS Review Crew posts on my blog. Maestro Classics: We ended up getting almost everything else they have made (with the sole exception of the Spanish title) as Christmas gifts. Amazing story-telling with music, and well-loved by everyone. And my whole family notices music in movies and television now, and comments on what they think the composer is trying to do. It's amazing. Classical Legacy Press: I am so impressed by their Latin and Logic programs, even though we didn't get very far. Facts First: an online math program that is only working on the basic fact tables, I saw huge improvements for all four of my boys (yes, even the one in Algebra II). I would love to subscribe for a year, and I may do that next January. Illuminations by Bright Ideas Press: this was one of the hardest reviews I wrote all year, but the product has been amazing. It made it easier to get all my kids together for history topics, though eventually we decided that it wasn't really enough for my oldest and he is back with Sonlight. Virginia Soaps and Scents: luscious scented soap, but the best part was the laundry soap kit. It forced me to actually try making laundry soap... and it was SO MUCH EASIER than I expected. I've been doing it ever since, unfortunately, with things I had already bought. I'm hoping to order their laundry bars in the future though, because I like them better than what I had around. Grapevine Bible Studies: this was one of the first products we received, and I was so impressed with how easy and engaging it made Bible study for our family. Amazing product. Bonnie Terry Learning, specifically 5 Minutes to Better Reading Skills: I want to purchase every product she makes. Unfortunately, I cannot possibly budget that. Anyway, this particular one is a very straightforward and easy way of working on building fluency for all my reading children. Kinderbach: the biggest surprise on the list for me. I did not expect to love this. And I did not expect that my big boys, who are WELL outside the suggested age range, would learn as much as they did. I 'hired' them to teach it to the younger ones. This covered far more music theory than I expected. Mathletics: an online math program, which now has levels for kindergarden through high school (it only went through US 8th grade when we reviewed it, some other countries, like Canada, had programs through 12th). We were able to be part of a group subscription, and I dearly, dearly hope that will be possible to renew. I am so impressed with this program. Maestro Classics: Two boys ranked it #1, two boys ranked it #2. I'm not counting Trina's rankings, but she loves it. Mathletics: Two boys ranked it #1, two boys ranked it #2. Trina loved it too. Facts First: Two boys ranked it #3. Hank the Cowdog book and game: they game is still played at least once a week, though one of the vultures just went missing. Sarah's Wish: everyone loved the book. The best part is you get both a print book and a downloadable audiobook. And the author is simply wonderful. EDUDPS: Connor particularly loved the college & career planning book. Tektoma: learning to program computer games? Yeah, that was a hit with the older ones. Family Mint: They love this way of tracking their money. Love it. I love the price: FREE. I'll be posting about the people and the job later today, and maybe a separate post about the 2010-11 Voyage too. Okay, before I get into the craziness of today, I thought I'd post a couple of things. First, we're working on Download N Go Whale Tales this week. Wow! I'll be writing more about it on Friday. Next week, we'll be doing Davy Crockett. Check the little ad on my right sidebar and enter their giveaway... not only a bunch of Download N Go stuff, but amazing things like Starbucks gift cards. I wish I could enter, but alas, I'm not eligible. Also, if you are making any purchases of Download N Go, use the code: DNG20PKS for 20% off multi-pack purchases. I'm seriously contemplating purchasing a make your own set of four: Twisting Tornadoes, Ben Franklin, Expedition Mexico, and Pizza Party. Doesn't that sound fun? Anyone have experience with any of these? Should I choose something else? Second, have I raved about Connor's online Biology class lately? Virtual Homeschool Group offers a few online courses, and he just LOVES the classes. Great kids to interact with, fantastic organization of the materials, it has been an incredible experience. He's almost halfway through, and is hoping to take Chemistry starting in the fall. William is praying that they'll get General Science up and running, as he wants to take that. And the price is right. Third, God is amazing. I was feeling very sorry for myself the last couple of days. You know, seeing all the really cool things my kids should be able to be doing, but we just can't provide, and feeling guilty about not giving them the education they deserve, or the opportunities they deserve, all that stuff. I was moping, to be quite honest, and was totally not walking the talk. I say that God will provide as far as what my kids need and when... but there was that time period where I was no longer believing it. And then... VideoText Module B arrived in the mail, compliments of a lady I don't even know, but a friend knew she was trying to find a good home for it and knew that I needed it, so it is mine (so William gets to start Module A... he begged to start today, I told him next week!). And then... I won a $100 Amazon gift card. I cried. Even when I'm stuck in unbelief, God comes through... I spent $35 of it this morning purchasing something the kids don't necessarily NEED, but it sure will be nice... the mp3 CDs for Apologia Biology (for Connor) and for General Science (okay, yeah, William does need that). The rest will sit with my Swagbucks gift cards until some serious decisions are made for the fall. Fourth, today seems to be volunteer day -- Connor has his first day this summer volunteering at the bookmobile for the Summer Reading Program. And all the boys and I are doing whatever they have us doing this time at Care & Share. Daddy & Trina get some father-daughter time (you have to be 6 to volunteer, so she can't come yet). So what do you have going on today? Disclosure: I was provided with Whale Tales and Davy Crockett from Litfuse and Download N Go. No other compensation was provided, and all opinions are completely my own.